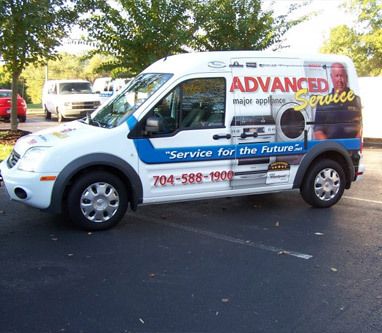 Advanced Appliance Service has been in business for over 32 years. 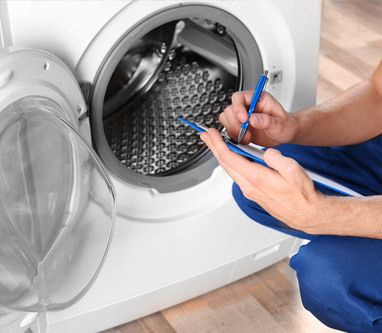 We are a locally owned and operated, employing 30 factory trained technicians and an office staff of 11 to assist you with your appliance repair needs. Our story began in May 1986 as Jeff and Kim Isenhour took the risk of creating a company to serve the public’s need for quality, dependable appliance repair at a fair market value. What started as a single technician and a mother on maternity leave, transformed into two technicians and a full-time office receptionist, which gradually matured to the established team that represent the company today. This is the second time (in 5 years for two different products) that I have used Advanced Appliance Service and satisfied both times. This last repair I researched on YouTube and made the correct decision to call the experts! Friendly, Prompt Service. Will use again (but hope not anytime soon). 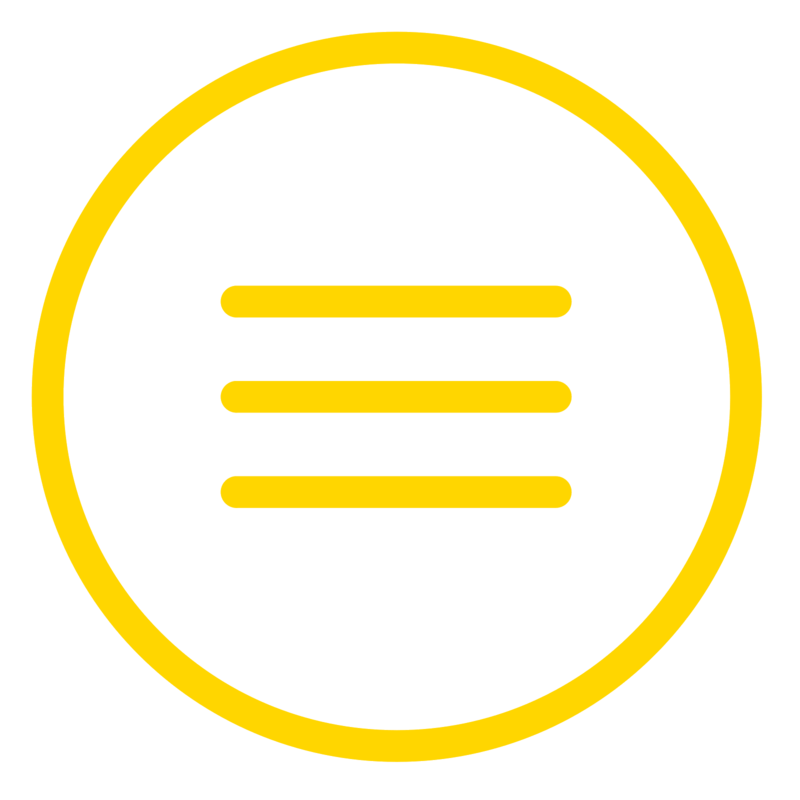 I have used Advanced Appliance Service for years and found their response to be prompt and cooperative. Their rates are reasonable and the technicians are knowledgeable and professional. I strongly recommend Advanced Appliance Service and would definitely use them again. Just had my Maytag washer fixed by them and they were great! Very respectful, on time and made sure my appliance was 100% working to my liking before he left! Blake was my repair man and he did an awesome job! So nice! 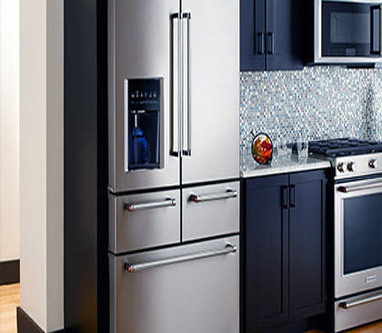 Advanced Appliance Service was a great company to deal with when my refrigerator was malfunctioning. We were happy with the professionalism and timeliness of this company. 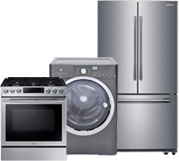 If we have any future issues with appliances, Advanced Appliance Service will be the first company we call. Our technician (Michael) was great! He fixed our Frigidaire dishwasher within 20-30 minutes. Then he even took the time to explain to me the features of my new dishwasher and how it worked. Which I really appreciated because since it is a new dishwasher, I did not know much about it. Michael was very professional and did an amazing job!! Thank you!! 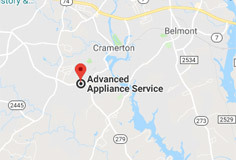 Advanced Appliance Service currently has two major zones of operation, the Greater Charlotte Metro Area and the Fayetteville Metro Area. 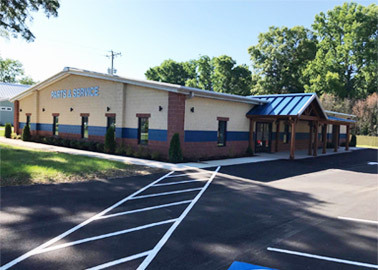 For the Charlotte area we service the following counties: Cabarrus, Catawba, Chester, Cleveland, Gaston, Iredell, Lincoln, Mecklenburg, Rowan, Union, and York. For Fayetteville we service the following counties: Cumberland, Harnett, Hoke, Lee, Moore, and Robeson.